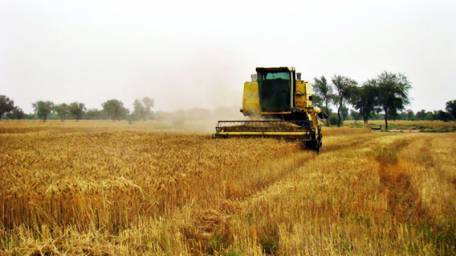 The government has set the agriculture sector growth target at 3.5 per cent while the industrial sector’s growth target has been set at 7.7 per cent for Fiscal Year 2016-17. According to budgetary documents, the agriculture sector is targeted to grow by 3.5 per cent on the basis of expected contributions of important crops (2.5 per cent), other crops (3.2 per cent), cotton ginned (2.5 per cent), livestock (4 per cent), fishery (3 per cent) and forestry (3 per cent). “Adequate production of cotton crop for 2016-17 is dependent upon efficient pest management, favorable weather conditions and profitable commodity prices,” the document added. According to the document, the industrial sector is expected to grow by 7.7 per cent during 2016-17 on the back of better energy supply and planned investment under the China-Pakistan Economic Corridor (CPEC) project. The mining sector is projected to grow by 7.4 per cent. The manufacturing sector is expected to grow by 6.1 per cent for 2016-17; Large Scale Manufacturing Sector (LSM) growth rate is projected to be 5.9 per cent; small and household manufacturing, 8.2 per cent; construction 13.2 per cent while electricity, generation and gas distribution is expected to grow by 12.5 per cent.